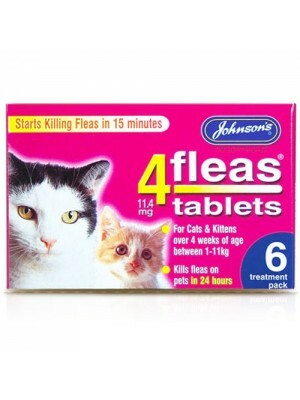 To kill fleas on cats and kittens from 4 weeks of age. The tablets have no contra-indications and are also safe to use with other flea and worm treatments, leaves no residue on their coat or in the home. 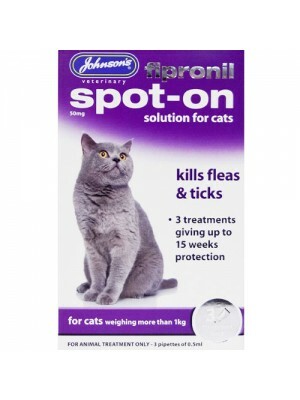 For cats and kittens over 4 w..
To kill fleas on cats and kittens from 4 weeks of age. The tablets have no contra-indications and are also safe to use with other flea and worm treatments, leaves no residue on their coat or in the home. 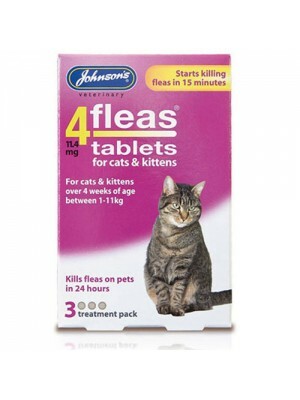 For cats and kittens over 4 weeks of age betwe..
To kill fleas on dogs over 11kg. The tablets have no contra-indications and are also safe to use with other flea and worm treatments, leaves no residue on their coat or in the home. For dogs over 11kg. 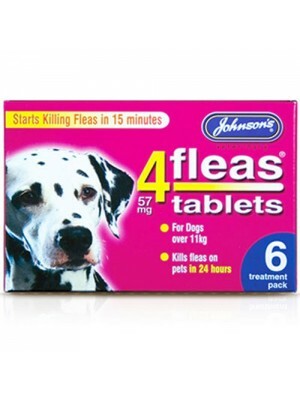 Kills the fleas on your pet within 24 hour.. 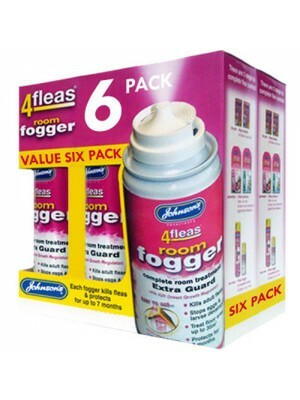 Contains an Insect Growth Regulator for extra protection. 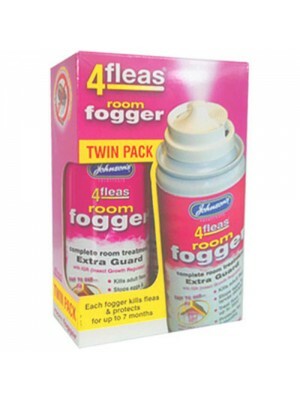 Kills fleas, larvae and other insects. Prevents hatching eggs developing into fleas and protects carpets, soft furnishings and pet bedding for up to six months. Not for use on animals. 600ml.. 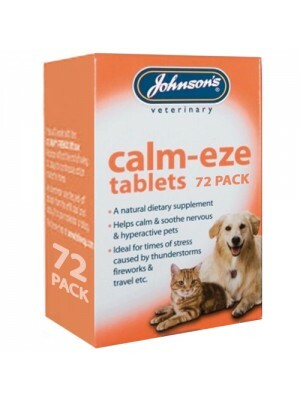 These Johnson's calm-eze tablets are a natural dietary supplement. Helps calm & soothe nervous & hyperactive pets. Ideal for times of stress caused by thunderstorms, fireworks & travel. For dogs and cats.Pack contains 72 tablets.FeaturesJohnson's Cal.. 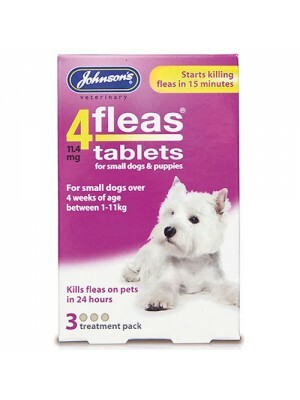 These johnsons tablets are perfect for killing fleas fast and safely on small dogs over 4 weeks of age and that weigh between 1-11kg. These tablets get to work in just 15 minutes and will kill all fleas within 24 hours. .. 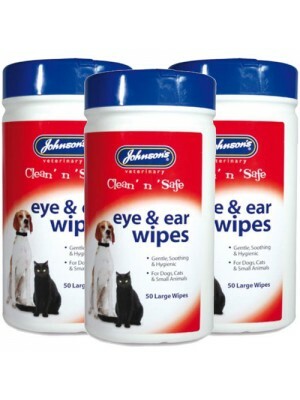 This set of 3 eye and ear wipes are hygeinic, safe and pH balanced they are for use around the eyes and ears of cats, dogs and other small animals. Each pack contains 50 large wipes. .. 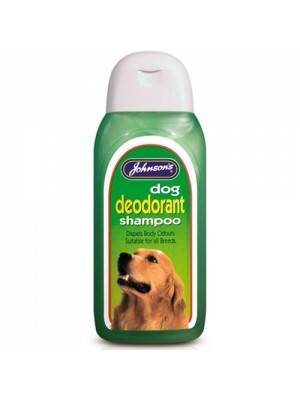 Brand new bottle of Johnson's Award Winning Dog Deodorant Shampoo. 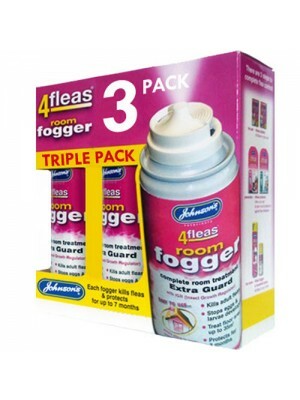 Developed to dispel body odours and add lustre. Helps to maintain a healthy and beautiful coat, while leaving your pet clean and smelling fresh. Treat your dog today, as the shampoo i..
Johnson's fipronil Spot-on is used for the treatment of infestations by fleas and ticks. 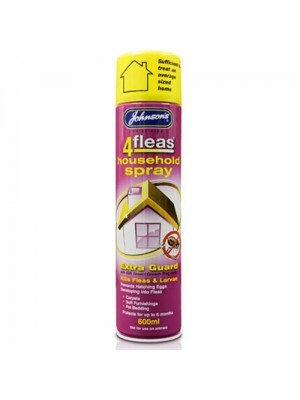 The product shows immediate effect against fleas and persistent activity against new infestations for up to 15 weeks. The product kills ticks within 48 hours. 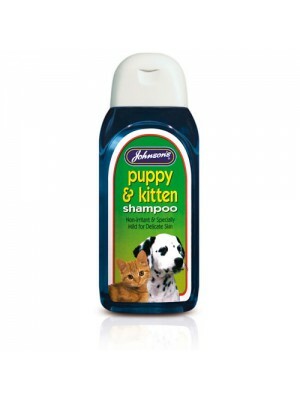 ..
Johnson's Puppy And Kitten Shampoo Non-Irritant For All Breeds! Brand new bottle of Johnson's puppy and kitten shampoo. Developed to be a gentle non-irritant formula & specially mild for delicate skin. Helps to maintain a healthy and beautiful coat, while leaving your pet clean and smelling fresh. Treat your ..